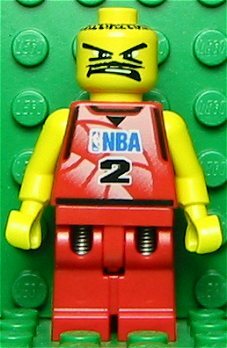 NBA Player 2 is a minifigure from the 2003 Basketball line. He represents a generic NBA basketball player. He, along with four other teammates, appear in 3432 NBA Challenge along with an opposing team. Facts about "NBA Player 2"
This page was last edited on 9 January 2016, at 22:58.